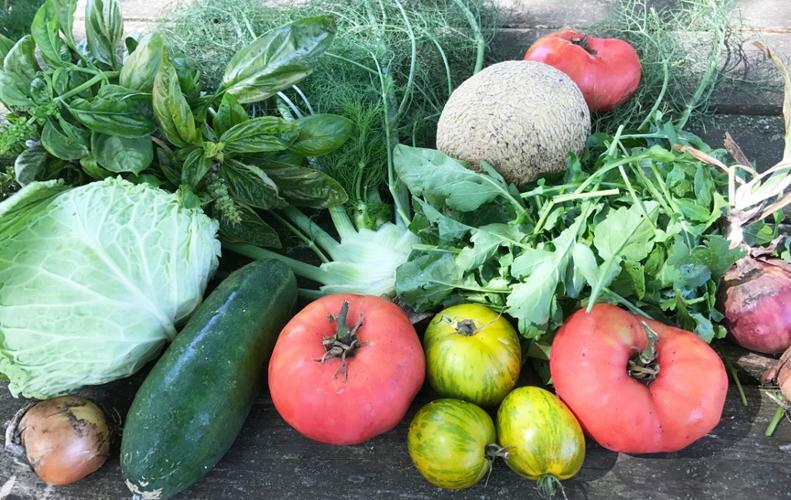 At Bray Grove Farm, we grow a wide variety of fresh heirloom vegetables, heritage grains, and herbs using natural methods, while practicing good stewardship of the land. Working with a team of Belgian draft mules, our farm uses cultivation practices that lessen the need for fossil fuels. In addition, we donate a significant percentage of the produce we grow to food banks that serve Chicago and Northern Illinois area communities for those most in need, and host events to help educate others on responsible farming.